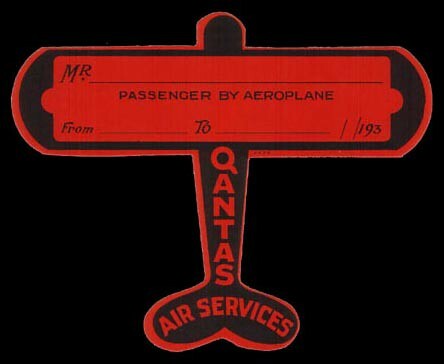 The homogenization of baggage tags mirrors the evolution of the flying experience from luxurious to commonplace by trading in artwork for the cold practicality of a black bar code. In July alone, 53 million passengers boarded domestic flights. Only about one-third of 1 percent reported a mishandled bag. Given the phenomenal scale of American aviation (measured in seats and miles, the U.S. market is three times larger than any other) and our reliance on luggage-juggling hub airports, that’s an excellent result. This success is largely due to the humdrum baggage tag. That random sticky strip you rip off your suitcase when you get home? It’s actually a masterpiece of design and engineering. Let’s examine in detail the myriad improvements offered by the ABT, which symbolize as perfectly as anything air travel’s transition from a rare luxury for the ultra-rich to safe, effective transport for a shrinking planet.